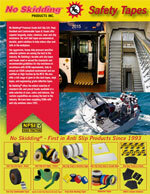 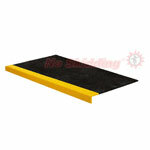 Provide immediate anti-slip safety with almost indestructible Anti-Slip FRP Step Covers and Treads. 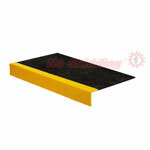 One Color Anti Slip FRP Step Covers and Treads Depth 9" X Nose 1"
Easy to install, highly visible, durable anti slip FRP stair covers for instant safety. 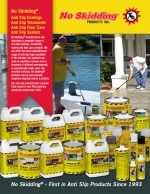 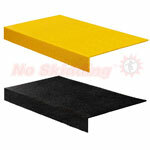 Anti-Slip FRP Step Covers are heavy duty solutions providing immediate and durable anti-slip protection available black, yellow or black with yellow nosing. 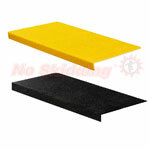 Two Colors Anti Slip FRP Step Covers and Treads Depth 9" X Nose 1"
Easy to install, highly visible, durable anti slip FRP stair covers for instant safety. 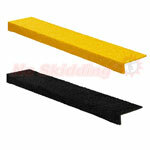 Anti-Slip FRP Step Covers are heavy duty solutions providing immediate and durable anti-slip protection available black, yellow or black with yellow nosing..